Garam Masala is a must have in every Indian kitchen. 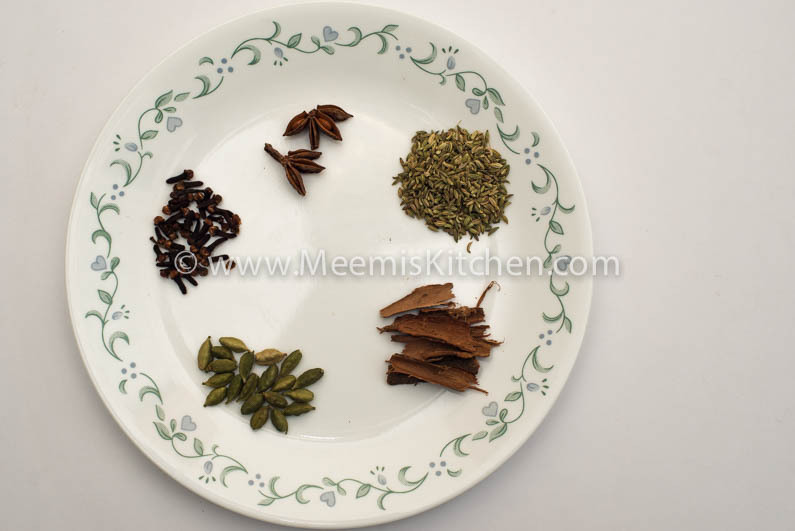 Ever since I started my blog, several people have asked me the mix for Gram Masala or how to make Garam Masala at home. I have never used garam masala in packets, but always prepared on my own. Since the flavour and ingredients differ for various dishes, i use this Homemade Garam Masala as a base mix for most curries and gravies and add other ingredients/ spices as required. In most of my non-veg. dishes, I use this Masala; like Kerala Beef roast, Easy chicken roast, nadan chicken curry, egg masala etc. Popular Indian Garam Masala sometimes differ from Kerala style Garam masala. Kerala Garam Masala uses more cardamom, perumjeerah, cloves and cinnamon more. Homemade garam Masla and other spice powders have more aroma and flavours. Also check how to make Sambar Powder and Veppilakkatti at home. My Mummy was particular about making her own spice powders and so am I. The flavour, aroma, and ingredients are important. I arrange all the whole spices in a plate and microwave for half a minute or roast it in a pan and then grind it to fine powder. You need to store it in airtight container in order to preserve the flavour and aroma. This Garam Masala Powder can be used for all my recipes with Garam Masala content. Here are my ingredients for the special Garam Masala @ meemiskitchen. Star Anise : 1-2 nos. Peel the cardamom and take the seeds. Arrange the spices in a plate and microwave for 1 minute (Or heat it in a frying pan). Grind in a dry spice grinder till fine powder. Store in an airtight container.